The Earring Thief! A Holiday commercial from Jones & Son Fine Jewelry. The Top 5 Gifts for Valentines Day…Only One Week Away! Valentines Day is only one week away and at Jones and Son Diamond and Bridal Fine Jewelry we have compiled a list of the top gifts for lovers this Febuary 14th, 2008. The lists has been compiled and voted on by the customers of Jones and Son through the years as well as this shopping season. Diamond Earrings Great Gift for Valentines Day! Diamond Earrings are once again the favorite of women everywhere and a favorite of the women who shop Jones and Son Diamond and Bridal Fine Jewelry. We buy in bulk directly from the cutter, so there are no middle men, and have done so for over 23 years. This Valentines Day give the gift of three prong diamond earrings from Jones and Son where The Best is All We Have to Offer! Merry Christmas From Jones and Son! Merry Christmas from all of us at Jones and Son Diamond and Bridal Fine Jewelry! We hope that all who’s Christmas wishes were for diamond earrings, Caerleon Jewelry, Blue Eyris Pearls, or Alwand Vahan came true. We would like to thank all of our customers and friends who helped make this our most successful Holiday Season Ever! 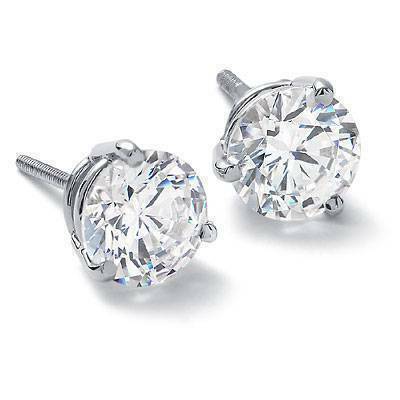 Diamond Stud earrings are one of the top gifts this holiday season. This year more women are requesting diamond earrings than any other item and that is why www.yahoo.com viewer voted the diamond stud earring the #1 requested jewelry item this holiday season. Come in Jones & Son www.jonesandson.com today and view the largest diamond stud selection in Central Arkansas. At Jones and Son where The Best is All We Have to Offer.